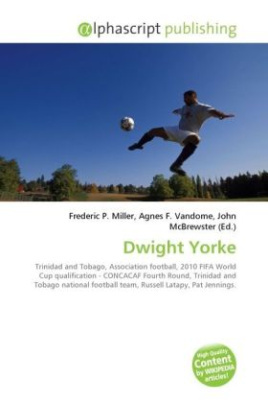 Dwight Eversley Yorke (born 3 November 1971 in Canaan, Tobago) is a Trinidad and Tobago former football player. He played for Aston Villa for most of his career, followed by stints with Manchester United, Blackburn Rovers, Birmingham City, Sydney FC and Sunderland. He is the assistant manager of the Trinidad and Tobago national team until the completion of the qualifying matches for the 2010 FIFA World Cup.Along with compatriot Russell Latapy and Pat Jennings, the former Northern Ireland goalkeeper, Dwight Yorke holds the record number of participations in different World Cup competitions, including qualifying stages - six in total (1990, 1994, 1998, 2002, 2006, 2010). Dwight Yorke was nicknamed The Smiling Assassin because of his goal scoring abilities as well as the fact that he is constantly smiling.